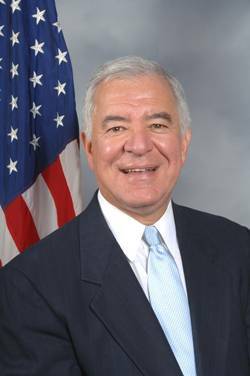 Congressman Nick Rahall, II, (WV) Ranking Member of the House Transportation & Infrastructure (T&I) Committee. Waterways Council, Inc. (WCI) presented Congressman Nick Rahall, II, (WV) Ranking Member of the House Transportation & Infrastructure (T&I) Committee, with its 11th Annual Leadership Service Award on February 15, 2012 in Washington, DC. The award recognizes champions of the nation’s inland waterways and port system. Rep. Rahall has served on the T&I Committee for 34 years, his entire tenure in Congress, and has been a key architect in the formulation of every Water Resources Development Act (WRDA) since coming to Congress, including serving on the conference committee to the landmark WRDA of 1986, as well as the conference to the most recent WRDA in 2007.